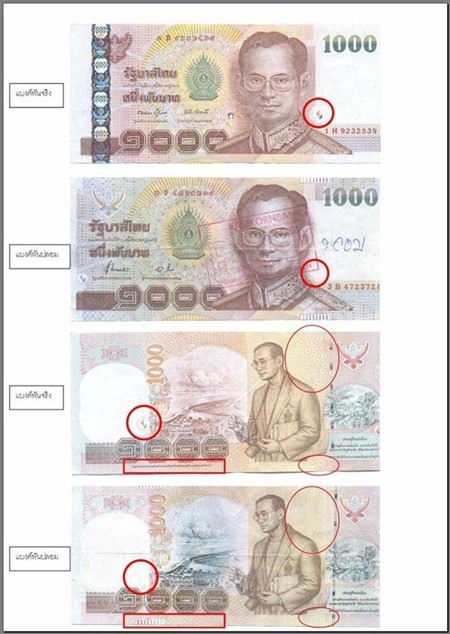 TRANG, 28 July 2014 – Provincial police are warning residents and the business community in Trang to beware of counterfeit 1,000-baht banknotes circulating around the province. Complaints have been lodged over the use of fake notes during the past week. 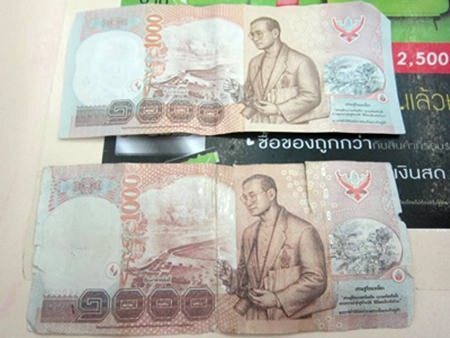 Reports suggest counterfeit banknotes bear the serial number 9A3828862. Police urge businesses to accept smaller bills and to carefully inspect distinct features on bills when accepting cash. Members of the public have been advised to report any suspicious behavior to the police. Those found guilty of the offense will face a maximum of life imprisonment and a fine of up to 40,000 baht. Anyone found to have obtained and knowingly used fake notes can also face up to 15 years in jail.